The Mirror That Speaks - Harnessing the most powerful ability of us! Close your eyes and imagine looking at yourself from the top right corner of the room. This self-reflective tool is an innate ability and is far more powerful when understood and practise. This is what makes us human, and it is with this tool humankind has forged its way up the ladder. How often do you use it? Or even worse, how often do you remember that you have such a tool at your disposal? 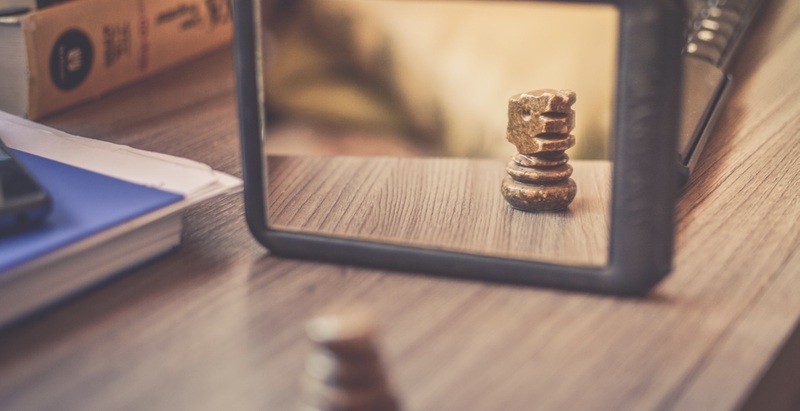 The Mirror That Speaks – is my way of tuning my self-reflective tool and see how quotidian obstacles of life can be converted to our advantage. My philosophy is you can deal with any problem through the mind-body-soul triangle. Through this series of articles, I try solving issues that every one of us faces using my self-reflective tool through the mind body soul lens.